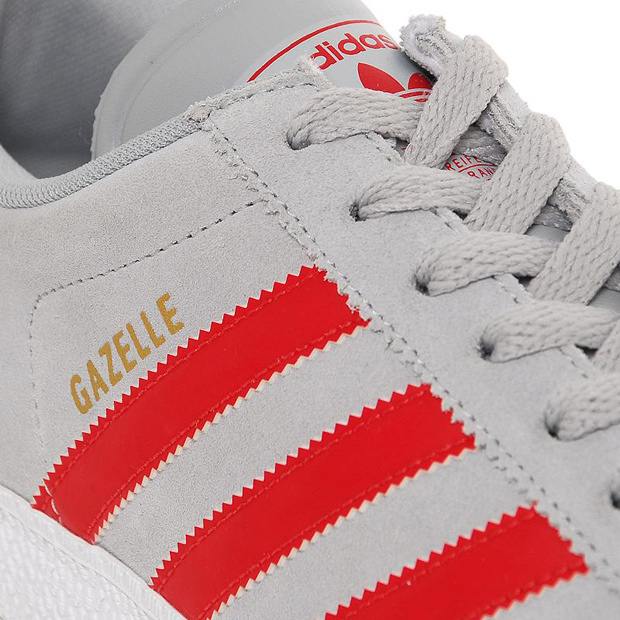 An Adidas favourite not just around the sneaker connoisseurs, the Gazelle can be seen anywhere and everywhere these days and this new make-up represents why the Gazelle has huge appeal to a wider audience. 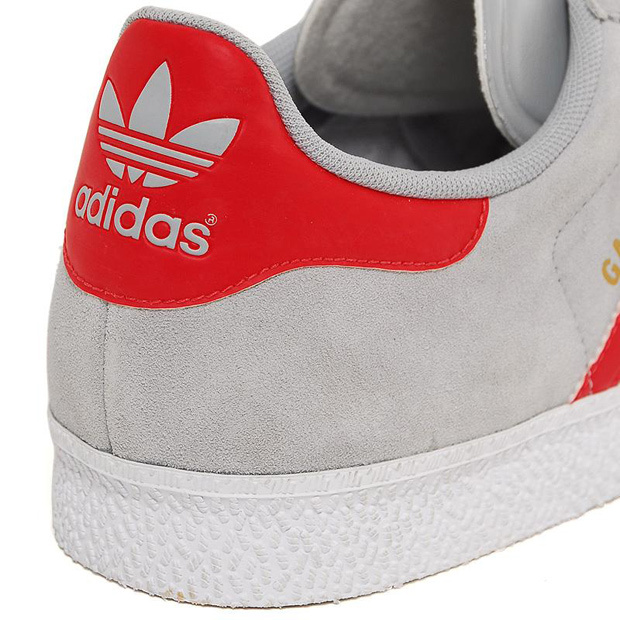 Like most of Adidas’ footwear pre 1980, simplicity works wonders for the Gazelle silhouette. 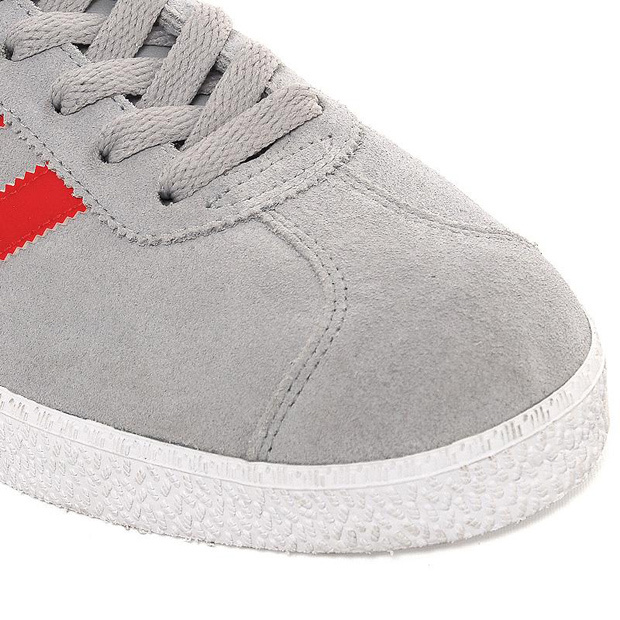 A light onix dominates the upper with hits of collegiate red that contrasts so well. Suede and leather on the upper is a familiar combination on Adidas footwear and as usual the quality looks of a high standard. This simple make-up is finished off nicely with gold ‘Gazelle’ detailing. 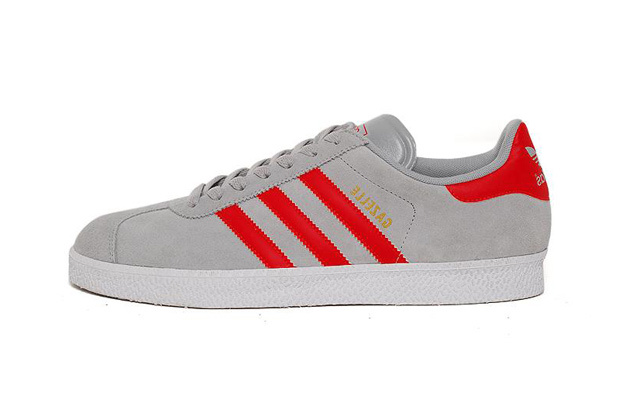 Available to pre-order now from End Clothing for £55.